You've probably spent the last six months huddled in bars with fireplaces, or picking boozers that're on the Skyway, but Winter has to be over by now, right? Right?! 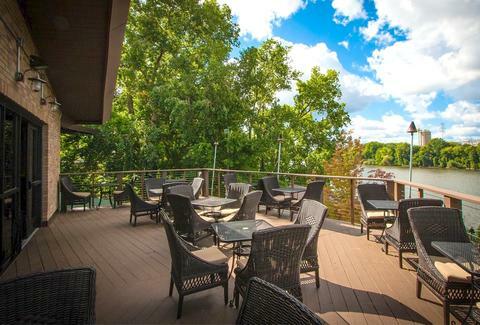 Well, even if we're wrong about that, it's time to start drinking like we're not... at one of MSP's seven best Spring outdoor-drinking spots. Why you're going: You can pick your own lobster! 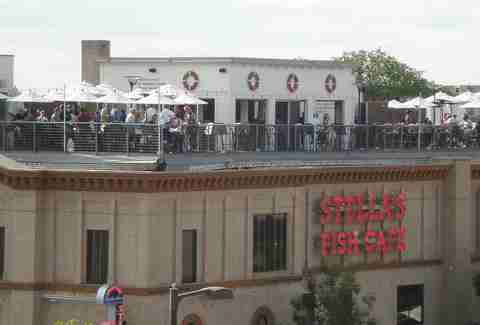 Or because this seafood-slinger's Cedar Plank Salmon tastes even better on their expansive roof deck, which's got an enormous projector screen where you can watch something else (besides the weather) that's usually so-so this time of year: the Twins. Why you're going: They actually brew their own sake. There're lots of places to drink beer brewed on site, but Moto's one of the few places in the country that makes their own cold sake, though this time of year -- in addition to some of their ramen, and sweet sushi options -- you may still want to order one of their warm ones. Why you're going: Umbrellas in your drink aren't enough? Then how 'bout walls that're also waterfalls? Or frozen drinks (like the rum-soaked cherry/ cola/ lime Psycho Zombie slushy) served in skulls? 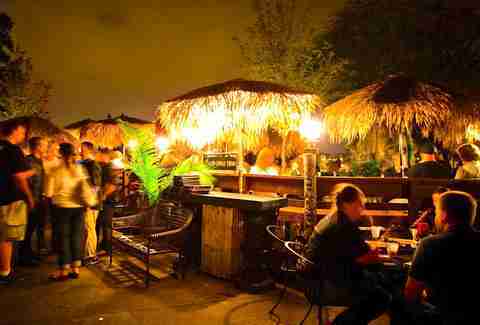 Or a giant patio that -- in a town where a warm open flame always comes in handy -- is, thankfully, lit with tiki torches? We thought so. 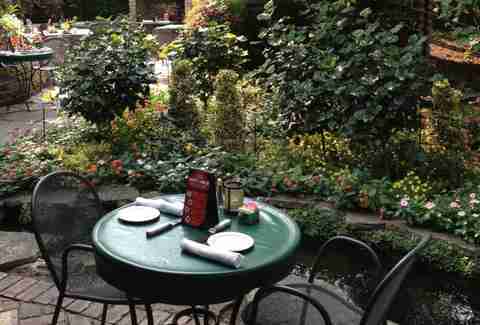 Why you're going: You have to see this garden. You didn't spend the Winter taking care of your yard, but they did! So, post up next to the stream running though their garden, where you can even catch your dinner and let 'em cook it up for you. Seriously! 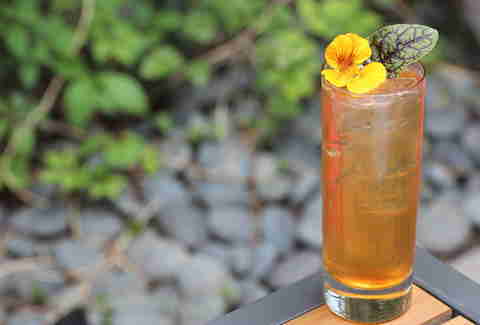 Why you're going: The Marin martini. This place knows their gin. Pass through the gates into their sprawling street level courtyard and enter a beautiful world, filled with $3 draft beers and next-level cocktails. 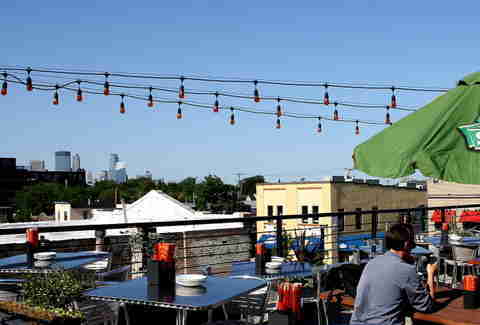 Why you're going: The roof! 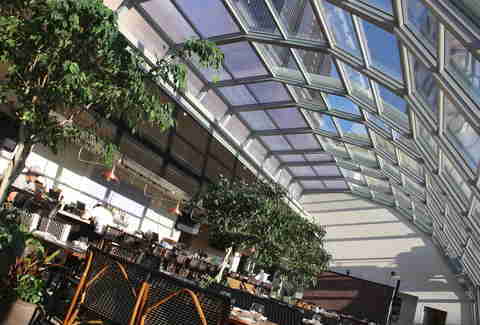 The iconic retractable glass ceiling in the Twin Cities' only "convertible" restaurant lets people pretend they're drinking outside even if... err, when it inevitably starts raining. Why you're going: It's better than going to a Twins game. 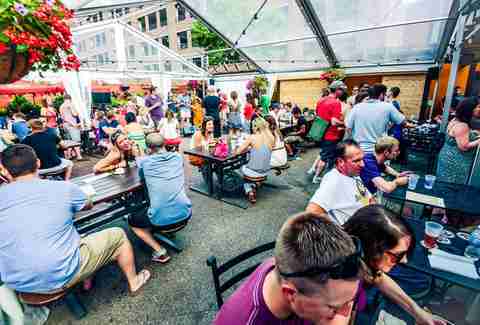 There are plenty of places to drink before (or after) a Twins game, but stop by the beer garden BatB's got out back for a few bratwursts and sweet pickles, and you'll probably decide it's a perfect place to drink instead of going to a Twins game.